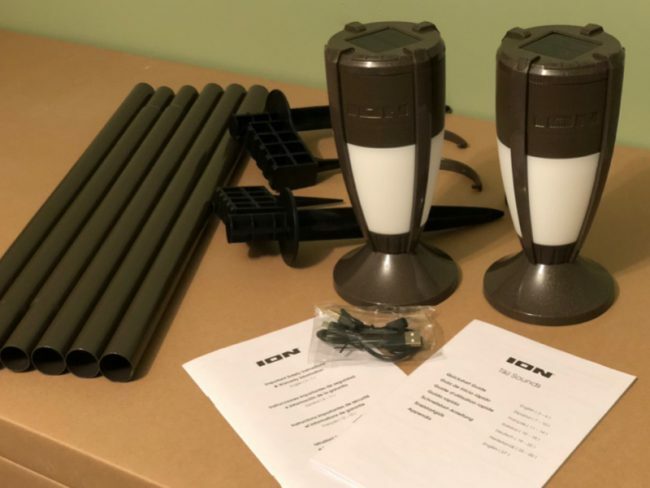 Recently we enjoyed the new Surf waterproof Bluetooth speaker from ION Audio, but for those times when we want to enjoy the patio or entertain friends or family, the pool may not be an option. Introducing the Tiki Sounds Outdoor Illuminated Speaker system. 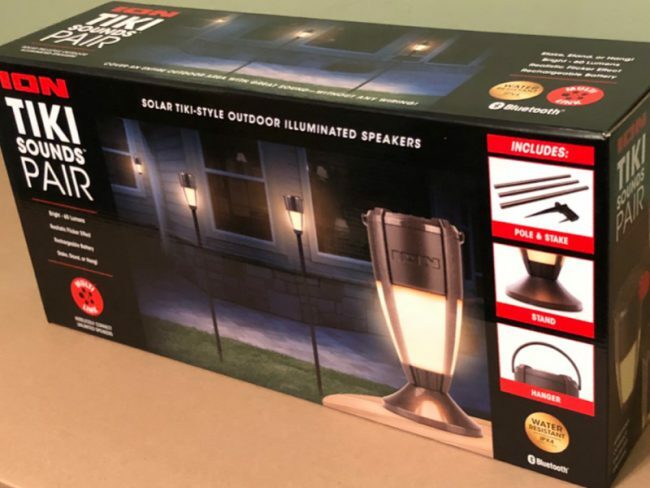 When I first saw the press release for this item, I thought this was one of the coolest gadgets for summer, and living in the sunbelt we have extended outdoor entertaining seasons. The Tiki Sounds system begins with a Bluetooth speaker unit that also features adjustable LED lighting with a warm glow. The system we received contains two speakers and mounting poles along with hangers, allowing for convenient placement. The units are linkable and can be placed as far as 100 feet from each other. 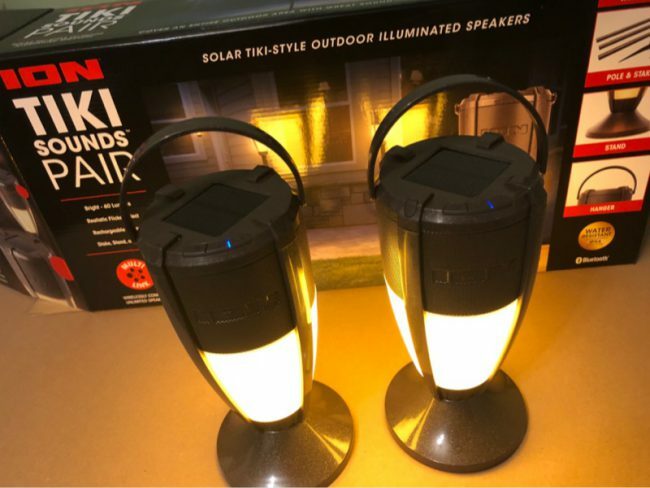 They feature long-lasting rechargeable batteries as well as a solar panel on top for even more convenience. And they are each IPX4 water-resistant rated so even Mother Nature won’t spoil your listening pleasure. As I write this review, I have one unit playing in the office room with me, and the other hanging on the back porch while my wife works in the yard. I have the music source set to shuffle so we won’t argue about the playlist, and setup of the entire system was a snap on both my iPhone X and my iMac computer. The speakers themselves are rated at 10-watts and play full range music with 360-degree coverage. There are three levels of brightness of the warm white LEDs and there is an optional flicker effect for that authentic “Tiki torch” look. More information can be found at www.ionaudio.com, just look for Tiki Sounds. ION Audio offers a ton of devices so you may find something else you cannot live without there as well. The Tiki Sounds are $69.99 each or $119 for the duo we tested. This system was so easy to set up and get playing, and the warm glow lighting effect is really nice. This is a great addition to any patio or backyard entertainment area. Would be really cool on front entryways or walks too for special events.